HOME SELLING SEMINAR! SAT 4/6 9-11am! 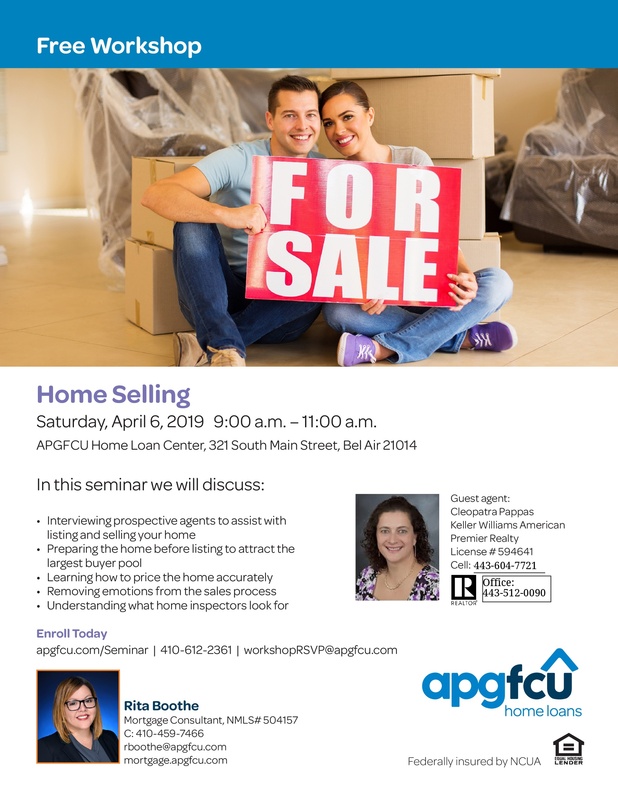 Come to APGFCU in Bel Air for an eye-opening discussion on how to get ready to sell your home. The market has changed since you purchase and you will want to know what is going on NOW. Please call Cleo at 443-604-7721 to reserve a seat.